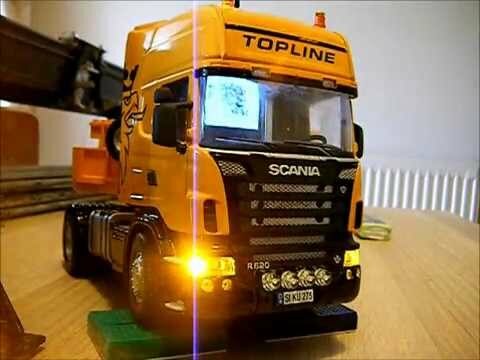 RC Trucks and Lorries are a great addition to your fleet, you canÂ transport loads of gravel in a dump truck or load pallets onto a flatbedÂ and deliver them to where you want them. They really compliment the other machinery you have for example after you have built your 1:32 scale tracked equipment, you are going to need to transport that machinery around your diorama. The best way to do that is with a radio controlled lorry pulling a low loader. The first radio controller lorry I built was a conversion of a Siku Scania R620 which shares most of its components with the control 32 version of the model.